Here is my selected list of 5 gift items you can buy for your programmer boyfriend or colleague in this holiday season and New Year. They are some of the valuable gifts you can give to your programmer friend, they are exciting, provides values, and they also fit your budget. This is the perfect gift for a programmer who has a family. At first, I was skeptical about this device, but everyone in my house loves it. It’s very convenient to be able to set timers, play music, and make shopping lists. Most importantly, It also has an API that can be extended to build custom apps, to keep your programmer friend interested. In short, a perfect gift for a programmer family friend. 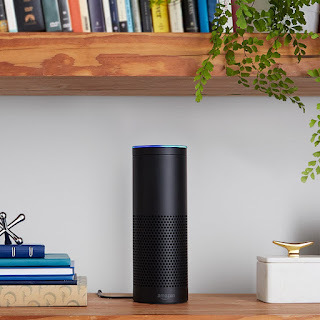 There is also a new version of Amazon Echo is coming, Amazon Echo plus, if delivery time suits your need, you can also pre-order it. Even though I’m a bit biased, since I’m a Pluralsight user, I still think a Pluralsight subscription is one of the best gifts for any programmer or software developer, simply because it is just so valuable. 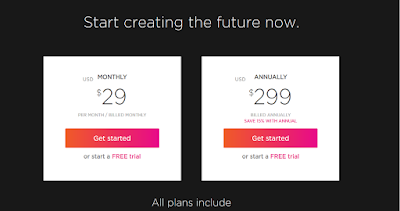 There are so many courses on Pluralsight now that every developer should have a subscription. It's a little bit expensive, the annual subscription cost you around 299USD but its very valuable and your programmer friend will appreciate you everytime he uses his subscription to learn something. This is one of the most popular gifts for programmers in 2018 and I am expecting the trend will continue in 2019 too. 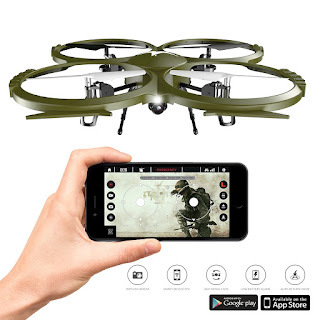 The Kolibri Camera Drone Delta-Recon FPV App Quadcopter Drone with Auto Takeoff and Landing Altitude Hold Headless mode VR Capable iPhone and Android Beginner Drone, as the name suggests is just so powerful and amazing. It can auto take off and it also VR Capable and you can control it from your phone too. In short, your programmer friend will simply love it. It's a good gift for not just programmers but to their families or any technical geeks. I’ve been using an ASUS Full HD 1080p 144Hz 1ms DP HDMI DVI Eye Care Gaming LED-Lit 27" Monitor for quite some time. In fact, at one point I had two monitors hooked up to my PC, but I’m starting to think that a curved UltraWide display may just be the ultimate monitor choice for a programmer. 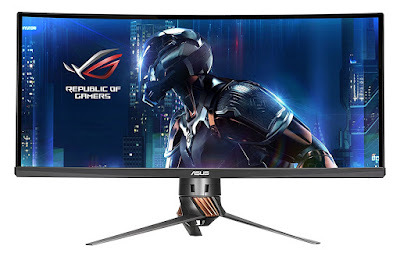 I haven’t picked up an UltraWide for myself yet but I have just ordered an Asus Curved 34-inch UltraWide QHD Gaming Monitor. Certainly, the best gift for programmers, game lovers and tech geeks. Raspberry Pi is the finest small computer that you can buy, and this kit is only $99. Although it’s only the size of a credit card, it can be plugged into a TV and keyboard and programmed to make spreadsheets, games and more. 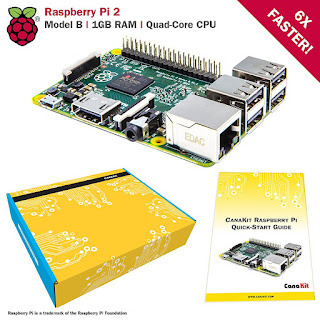 This kit includes Raspberry Pi 2 (RPi2) Model B Quad-Core 900 MHz 1 GB RAM, 8 GB Micro SD, CanaKit WiFi Adapter, and quick start guide. Raspberry Pi Foundation’s mission is to teach children how to program, but they do a terrific job entertaining adults and seasoned developers too. That's all about some of the best gifts you can buy for your programmer friend. I know, a gift is not just about money. In fact, spending money is easy but finding the right gift is much tougher. But the joy of giving a perfect gift, which is both valuable and amazing, is worth of all these troubles of searching the perfect gifts for programmers. Btw, if you are looking for options, you can also see my gift ideas list from last year. Nice post Javin, I agree with your list but there is two things I would add. First I would include a Kegerator for those late nights and some dev gear! I encourage you to check out my brand for Software Engineers - System Out Of Memory. We currently offer a variety of code shirts and are hoping to get some new dev gear in the near future. Drop me a line on the contact us page and I can hook you up with shirt. Cool blog keep up the good work! Hello Bill, Yup, shirts with programming meme is also a good gift. Thanks for dropping by.